Weilin Wu. A legend among co-rec athletes. Oatmeal enthusiast. A jack of all trades. We all know Weilin to be a wonderful example of brotherhood, but I believe a lot of us also see him as a wonderful example of friendship. He’s someone you can lean on that will never falter or cause you to fall. A steady friend. He is inherently good, consistently kind, passionately himself. He understands the significance of people and listens to what they have to say. He steps to the tune of pure joy. We invite people to be themselves by being ourselves, I think. And Weilin is always, unapologetically, himself. 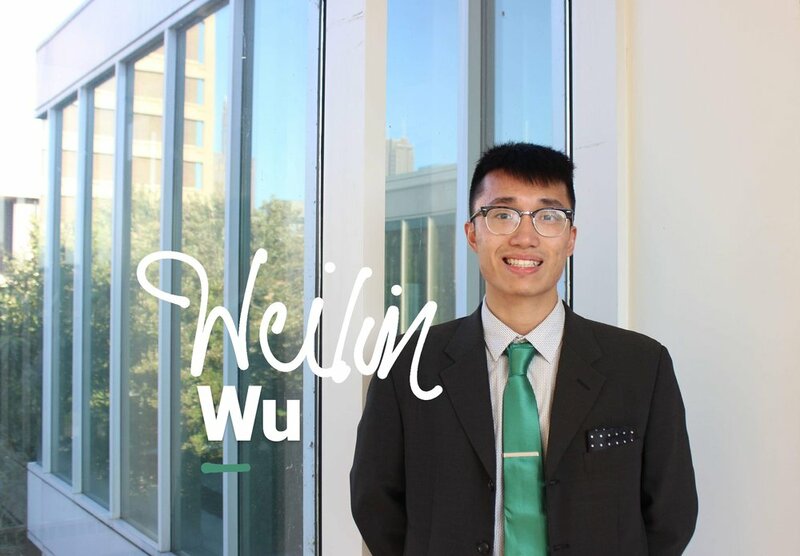 Thanks for making us all better, Weilin. My favorite memory with AKPsi is witnessing my personal growth from being a pledge into a brother. I still remember the days when I had a three-page resume, no cover letter, no LinkedIn, and lack of professionalism. Because of AKPsi, I became more determined to go above and beyond whether in life or the professional field. After countless hours of hard work and determination, I was able to raise the sales amount of my online clothing store from $24,000 in 2017 to $40,000 in 2018. Running a sole proprietorship could be somewhat overwhelming, but if you are focused and are passionate about your business, your sales will follow through eventually. I would tell myself that there is no deadline to anything, but you shouldn't be wasting time. I started taking school more seriously after graduating from high school, but I wish I knew better in my early career. Outside of AKPsi, I enjoy playing and watching sports. During my free time, you might find me playing indoor volleyball at the recreation center or watching my favorite sport teams (Lakers, Manchester City, and FC Barcelona) play at the library. Making progress is something that motivates me every day. I am never satisfied, and I am always looking for more ways to learn. Making progress in life allows me to be prepared for the future and where ever life takes me. I know 4 languages: English(Fluent), Chinese(Native), French(In Progress), and Spanish(In Progress). My goal is to be proficient in at least 5 languages before I graduate.